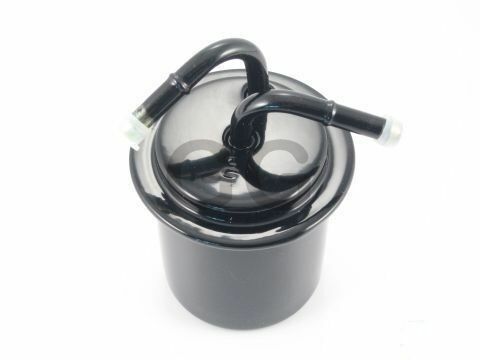 Has anyone changed there Chinese diesels filter to something we can buy easily? Something that's a CAV or Delphi Ryco Fram, even Lucas clone or something else common? Wondering how hard it would be on the S195. Having used a number of them, I would not touch those filters with a barge pole, 3 barge poles in the application you are looking at. The list of problems is long and undignified and there are far better alternatives. The housings are expensive, prone to air leaks, Fragile with the glass bowl and the filters aren't that cheap now either. You would be far better with the common disposable type that are $3 ea from supercheap. Buy a few and splice them into the fuel line with a couple of clamps. Easy. The other better alternative is the metal canned sealed filters. Come on a range of vehicles and in different shapes and sizes but I use the 98-2010 Subaru Type. Unless you are pouring crap into your tank, you'll put one of these on and never have to change it again. Pretty much any Filter from a vehicle will do what you want, best to find one with the same fuel line size although in my experience the line on the china diesels is 8mm same as common on a lot of vehicles. Yes, the 195's are easy to adapt to a different filter. Although the canister filter that they come with is pretty good. The 195 has an external flexible fuel hose so simply splice a new inline filter into that hose between the fuel tank and the existing canister filter. Then remove the paper element from the stock canister. You will need to make some sort of a bracket to hold the new filter to the engine. Keep the whole filter/hose assembly running in a downhill slope. Remember this is a gravity feed system. So its may be a trip to the Kabota parts list. Why not just fit something like this? Don't give me a hard time about the thread seal tape OK? Your ( eventual) powers of observation are amazing Mike! Have you ever thought of trying something new and reading the thread BEFORE you respond? Twice. We have similar units here that are Parker Racor and they are excellent. All over our ebay for reasonable prices. Maybe the issue with those is made by Lucas which is universally sworn at here. There will be a reason Joseph Lucas was always referred to as the "Prince of Darkness" . . . . back when I had an old K-series Bedford and my friends had old Bonnevilles and Saints and Nortons and Matchlesses etc (we're talking circa 1975) one of the commonest requests I used to get was "Mike, can I borrow the K to go collect the (enter Norton, Triumph, BSA to suit)?" and the Prince of Darkness was usually referenced as the cause of the problem . . .
FWIW my experience with the automotive inline small, sealed filters is that some are for various forms of common-rail engine and their one-micron (or sub) filters don't serve older, gravity-feed systems well. I don't know how you'd tell which one was five microns and which was one? Either way - I'd guess they are more filtration than you need? I still have a couple of BSA's, a B40 and an A65, neither has anything of the early electrics. The B40 has a 'chainsaw' type and the A65 has a Boyer Bransden bit of kit which uses the alternator, a modern one!, and has lights as well. A few weeks back I fired the A65 up after around 3 years, new fuel was all it needed. As a young man pushing Nortons & Triumphs on a hot Hawkes Bay summer's day I used to recall the common wisdom of the day: "Joseph Lucas says - don't go out after dark!"